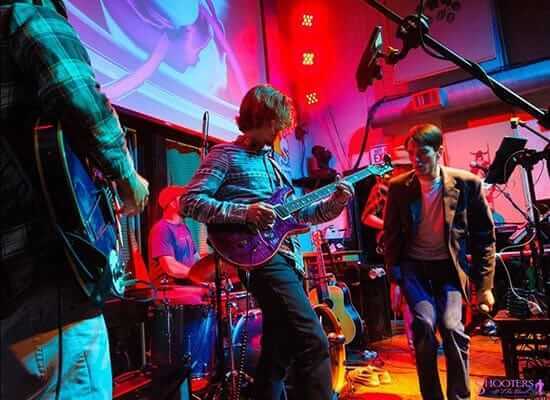 Outer Banks Brewing Station – Kill Devil Hills, NC: The first wind-powered brewpub in the U.S celebrated its 15th year this spring. Look for the 92-foot wind turbine in the fenced backyard beer garden. 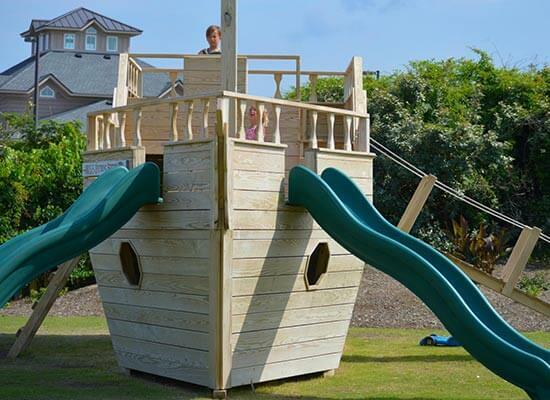 Named “Kid’s Choice” by Outer Banks Child Magazine, local kids call the Brewing Station “Round and Round” (think wind turbine), “family Friendlies”, or simply, “the Pirate Ship”. 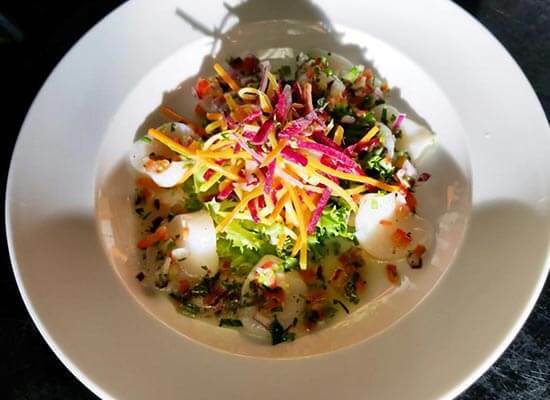 A pub by the classic European style of a ‘public house’, the Brewing Station considers itself an important member of the community and is family friendly during lunch and dinner hours. 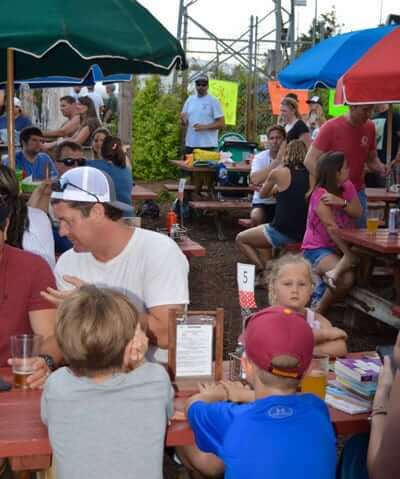 Families can enjoy live music, beer, and food inside and out, while the little ones play on the pirate ship and the older ones play a friendly game of corn hole. 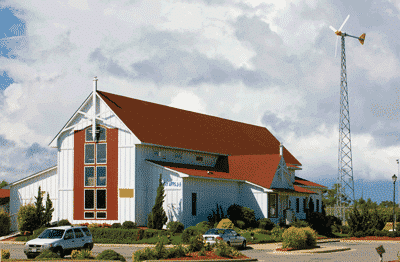 It’s also a great place to wait for your inside table during the busy summer season, where you can enjoy a great house brew and the kids can run free. 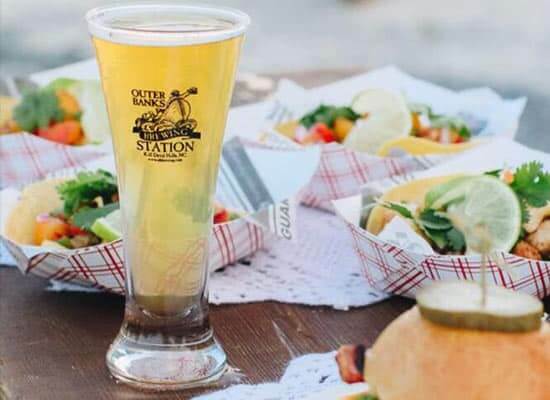 Outer Banks Brewing Station offers common kid’s fare such as chicken tenders and buttered pasta, they also have healthy side options such as applesauce, edamame or carrots, and celery. No kid’s meal is complete without gummy worms and cookie “dirt” sundae or a kid’s chocolate lava cake. 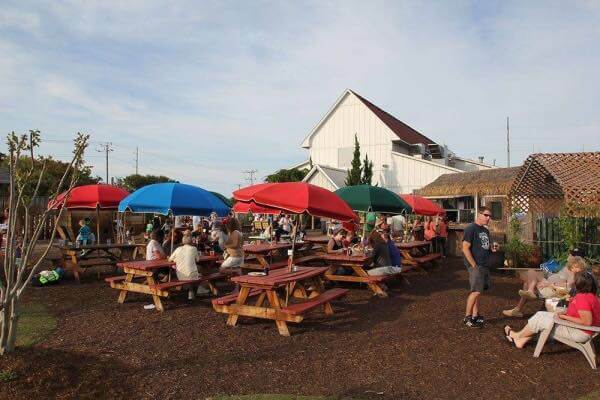 Recognized as an ocean-friendly establishment by the Ocean Plastic Project, Inc. and Outer Banks Chapter of Surfrider Foundation in their ongoing effort to reduce, recycle and encourage patrons to “ditch the straw”, the Outer Banks Brewing Station remains in the forefront of businesses responding to the challenge to become eco-friendly to help preserve this fragile, unique area for our children. 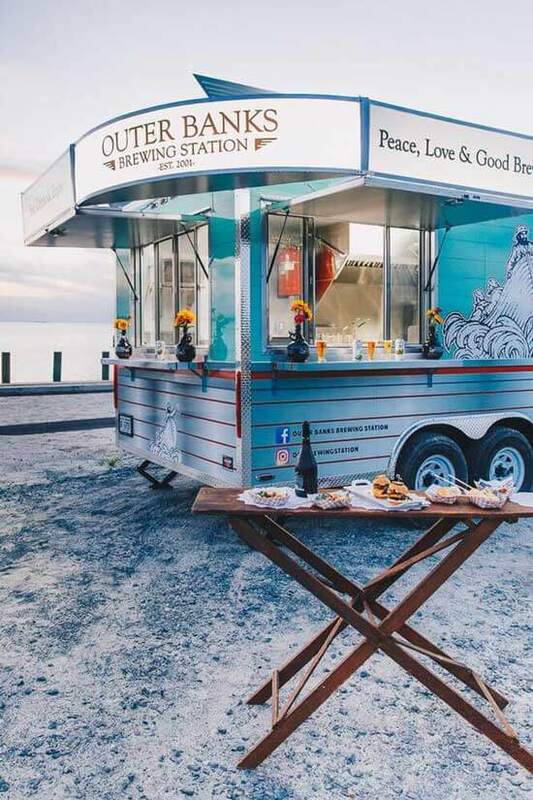 Don’t miss the Outer Banks Brewing Station Experience!